Over the last decade, Colorado has seen a tremendous growth in population. People flock to this beautiful state to enjoy the scenic outdoors, and many choose to retire with their families along the Front Range. While living in Colorado has many benefits, the state is still prone to unwanted pests and bugs that can wreak havoc on your home. Due to Denver’s unique climate and environment, a variety of pests can find their way into your home, which can lead to several health and safety issues down the line. 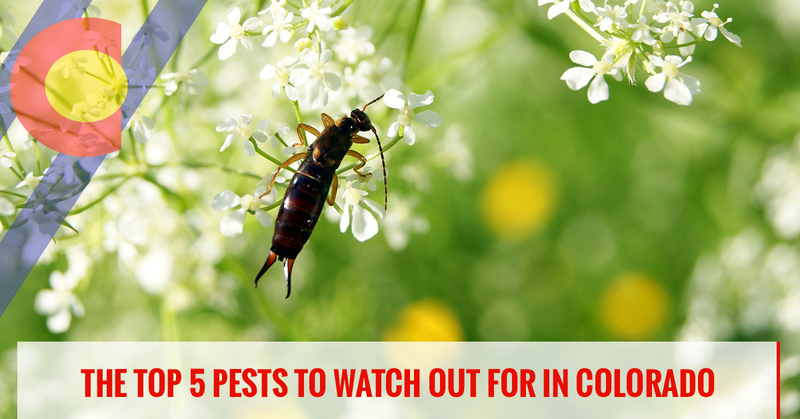 In this blog, we’ll discuss the top five pests to look out for in Colorado. If you live near Englewood and you’re looking for an experienced pest control company, contact Colorado Pest Management today. We’ve been delivering high quality pest control services to Denver since 1989, and we understand the unique challenges of pest control and wildlife management along the Front Range. If you’re interested in learning more about our pest control services, or you have questions regarding the pests in or around your home, contact our professionals today. Ants are a common insect that can be found in just about every corner of the world, and the beautiful state of Colorado is no exception. There are a variety of ant species that thrive in the Colorado climate, including pavement ants, carpenter ants, sugar ants, and field ants. Ants are very social pests, and they work and live together in very large colonies. Within each ant colony, you will find three castes that consist of workers, soldiers, and reproductives. As you may have guessed, the workers forage for food to bring back to the colony. These ants can become a huge nuisance when they find their way inside your home or place of business. 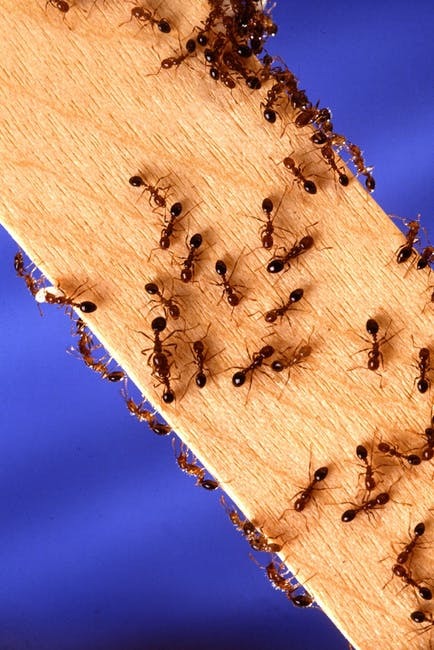 Other ant species, like the carpenter ant, can be a very serious threat to the structure of your property. Once these tiny pests find their way inside your home, they will work to burrow themselves into various wood components. Not only does this compromise the strength and support of your home, it can lead to costly repairs down the line. Pavement ants are among the most common type of ant in Colorado. These coil-nesting pests are often recognized by mounds of fine soil in the cracks of concrete sidewalks or driveways. Social Wasps – Social wasps are a very dangerous type of insect because they will work together with other wasps to swarm and attack their prey. These wasps often construct their nests out of paper and cardboard, and often resembles a tiny umbrella-like structure. Solitary Wasps – This kind of wasp does not produce a colony and they are not known to be aggressive. Most of these wasps will only sting if they are handled or if they come in close contact with skin. The Western Yellow Jacket – Also known as Vespula pensylvanica, the yellow jacket wasp accounts for 90% of bee stings in Colorado. This pest loves to swarm around open trash, exposed meats, and sweets. If there’s one spider species you should be aware of in Englewood, it’s the black widow spider. Most recognized for the red hourglass spot on their abdomen, this spider gets its name from the popular belief that the female black widow spider eats the male after mating. While this rarely happens, these spiders are among the most dangerous insects in the world. Black widow spiders tend to be the most active when the temperature is 70 degrees or higher, but it’s important to note that they can survive in lower temperatures under the right conditions. In the outdoors, these pests like to live in protected areas like under stones or in firewood piles. They are normally found in barns, sheds, garages, and basements. Cockroaches are another common Colorado pest that you don’t want invading your home. These insects have been around since the dinosaurs, and they are very difficult to get rid of without the help of a professional. While these pests prefer to live in warm and moist environments, they can easily adapt to a variety of living conditions. With more than 4,500 species of cockroaches living throughout the world, there are three common types that can be found in Colorado. German Cockroaches – German cockroaches are light tan to brown in color, and even though they have fully developed wings, these insects do not fly. They are most often identified by the dark parallel lines that run from the back of their heads to their wings. 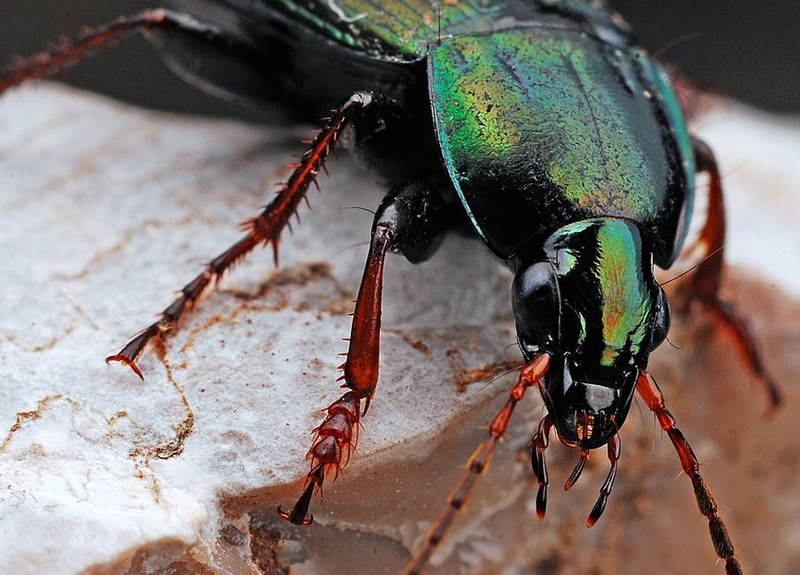 These pesky insects are often found invading bathrooms and kitchens. American Cockroaches – Unlike German cockroaches, American cockroaches have the ability to fly. These insects are reddish-brown to mahogany in color and they are easily identified by a distinctive yellow band behind their head. Oriental Cockroaches – Oriental cockroaches also have wings but are unable to fly. These little pests can be found living outdoors, but they may also find their way into a wet basement or crawl space. While cockroaches are a fairly harmless insect, they have been known to pick up harmful bacteria from time to time. Since these pests love to invade trash cans and garbage disposals, they may be exposed to things like Salmonella, which can lead to a variety of health issues in humans. When they shed their skin and drop feces, cockroaches may introduce health hazards into your home that can result in a fever, vomiting, or diarrhea. If you’ve started to notice cockroaches in or around your home, contact a pest control company right away. At Colorado Pest Management, we offer safe and efficient pest control services for residential and commercial properties. If you’re interested in learning more about our pest management services, contact our qualified team today. Earwigs are tiny nocturnal insects that feature a sleek black and brown color. These small pests have pincers or forceps protruding from their abdomen, which may look intimidating on the surface, but are not poisonous. While these insects are harmless to humans, they can be very frustrating if found in your garden, lawn or flowerbed. Earwigs enter homes by crawling through small cracks and gaps in the structure. In fact, many people discover earwigs near poorly sealed doors and windows of their home. We hope that this article helps you to properly identify pests in and around your property. If you’re looking for a professional pest control company in Englewood, call the experts at Colorado Pest Management today.